When a person moves to a new country and town, a normal concern is whether one will be able to readily make new, interesting friends of like mind.Â In all honesty, I continue to be amazed by some of the fascinating people I meet in San Pedro, and on Ambergris Caye.Â Usually, I meet them right here, on our Grand Baymen Belize property.Â Between conferences, the San Pedro Club, and classes, I am often impressed by the diversity of the people I meet, and what unusual lives they lead. I know this is an important topic for potential expats considering making a life changing move.Â They regularly ask me about my experiences meeting people.Â Personally, I love to hear about and tell peopleÂs stories.Â ThatÂs why IÂve written a number of articles about expats whoÂve made the plunge.Â So, in the future, once in a while IÂll write a blog about the more interesting people IÂve met, or come to know, on this island. ItÂs now common knowledge that our health and well being improves when we regularly interact with friends, and family. Good health and happiness is not just about eating right, getting plenty of sleep and exercising. Â Our health and happiness, to a large degree, improves if we develop a rich and rewarding social life. So today is a perfect day to initiate this topic.Â During the last week IÂve had the good fortune to meet a number of interesting, engaging people here on our little island. 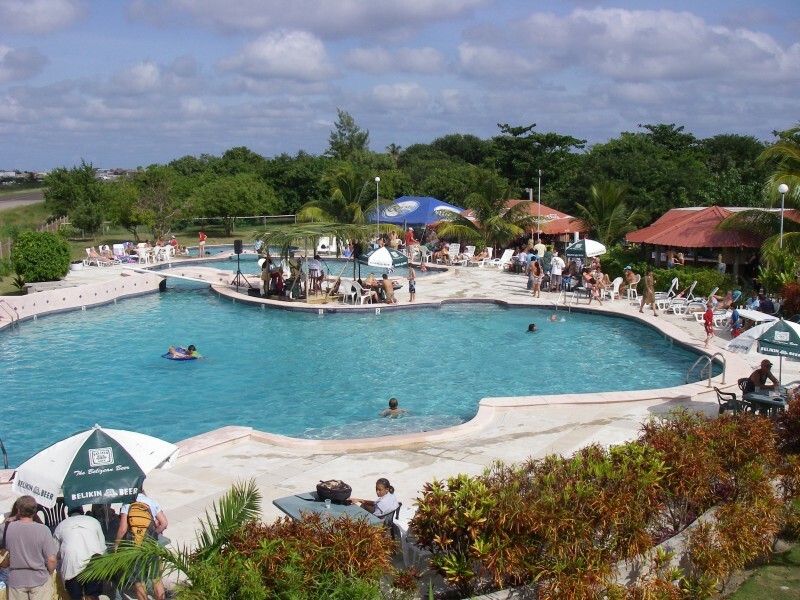 Â Some I met at the financial conference Â these are the people who are planning to move to Belize soon.Â Others I met at the San Pedro Club, while working out on the treadmill. As mentioned in a prior post, I met an Indian psychiatrist, a FedEx pilot, and a couple who sell health and well being products on line at the conference. Â There was another interesting couple I forgot to mention Â Dave and Deb. They are indeed young at heart and ready for adventure. Although now retired, Dave and Deb have lived all over the world, including countries like Panama and the Philippines.Â As you can imagine, an ex-Navy Seal has little fear of trying out a new location like Belize.Â Nothing fazed them too much.Â TheyÂve lived around the world and seen it all.Â They plan to return and try out living on Ambergris Caye before they decide whether to make it a fulltime abode. Debbie and Steve - the health and wellness oriented couple, attended the conference.Â But they also dropped in at Wine de Vine for our favorite Friday night wine tasting event.Â ThatÂs when we had a chance to chat for a while.Â They are very excited about the opportunity to expand their wellness support supplies business here, from Belize.Â And they were pleased that this community is open to alternative health options, as well as businesses. They plan to return in November to rent.Â TheyÂll check out the island lifestyle for the long term, as well.Â TheyÂve sent us a little care package to try out some of their health products, so IÂll be looking forward to those. After working on line in the morning, I typically head to the Club late in the morning to hit the treadmill, swim laps, or take a water fitness class.Â Although we have a regular group of local attendees, there are also new expats, visitors, and locals dropping in on a regular basis. Â Some have just moved to the island.Â Others are just checking it out, or renting for a few months. 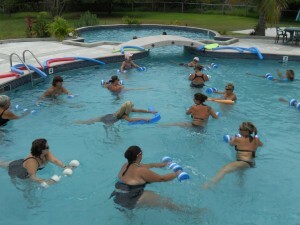 IÂll talk about the folks in the aqua fitness class during a different blog. One thing is certain Â itÂs much more pleasant to pass time on the treadmill, huffing and puffing, when there is someone interesting to talk to.Â I was very fortunate this week to meet George.Â George is a fit, distinguished looking gentleman, around 70 years of age.Â But of most interest to me Â he spent his career as a writer for the New York Times.Â George is now retired, but he still contributes articles to the Atlantic Monthly. George is a jazz aficionado.Â He considers Sonny Rollins to be one of the all time jazz greats.Â Sonny is still alive, but is one of the few remaining icons of the Harlem jazz era.Â So, George is writing a book about Sonny, and a Harlem that no longer exists. He has collected old tapes and interviews that few people have access to.Â He is digging deep, to capture the significance of the development of the jazz era in Harlem, and the impact of that era on American music. It appears that this is now GeorgeÂs passion, and a type of legacy, to write this book.Â Since I enjoy jazz and am familiar with Sonny Rollins, this was a fascinating conversation.Â I never expected, when I stepped onto the treadmill at the San Pedro Club that day, that IÂd learn what Sonny Rollins is really like, as an artist and a remarkable human being!Â Needless to say, my workout flew by. 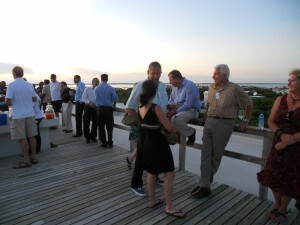 They seem to enjoy visiting mbergris Caye to unwind. And, for sure, our jaws get a great workout. More importantly, IÂve met new friends both at the Grand Baymen Belize on-site conferences, Chill Weekends, and at the San Pedro Fitness Club.Â If youÂre worried whether you'll be able to make new friends if you move to a new place, stop worrying.Â I can only speak for Ambergris Caye and my experiences here at Grand Baymen. Â But I've learned that if you put out even a small amount of effort, it's possible to meet plenty of interesting people here! Â Ironically, I meet many more different kinds of people here than I did in the San Francisco Bay Area. We invite you to come visit and start meeting interesting new friends!